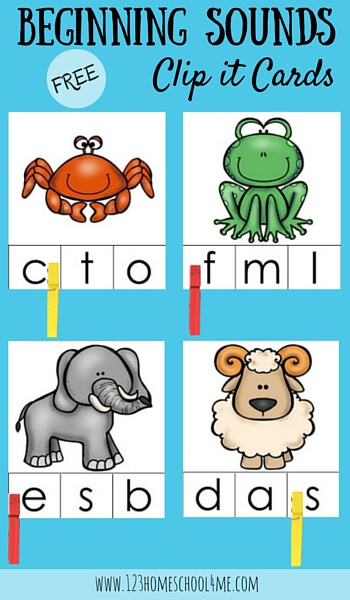 If your little ones are starting to learn how to sound out words, grab these free beginning sounds animal clip it cards. Great for Preschool and Kindergarten, they help kids with their fine motor skills, too! Learning to read starts with understanding that we have an alphabet and that it’s the sounds those letters make that turn sounds into words. One of the first skills a child needs in making this transition is to be able to hear and say the beginning sound of a word. It’s often discovering that they can do this that opens the possibility of reading and writing to young children. Download a copy of these beginning sounds animal clip it cards BELOW. 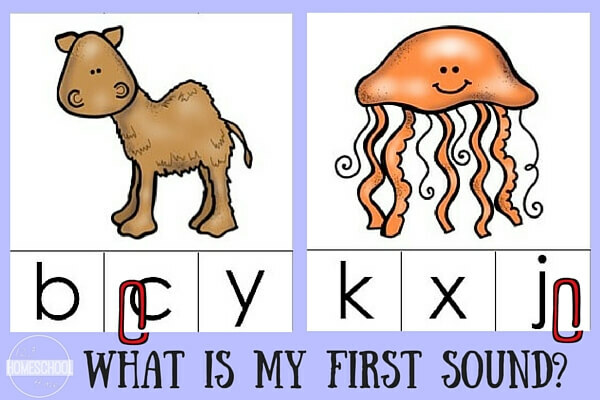 Ask them to say the name of the animal out loud and concentrate on the first sound. Can they stretch it out and separate it from the rest of the word? Can they say what letter that sound belongs to? Ask them to say the 3 different sounds that are under the picture and decide which one matches the picture. Then they can clip a peg to that sound, or slip a paperclip onto it, or pop a small object on top to mark it. Click HERE to find the free matching cards for where these animals live. Looking for more free sound activities?